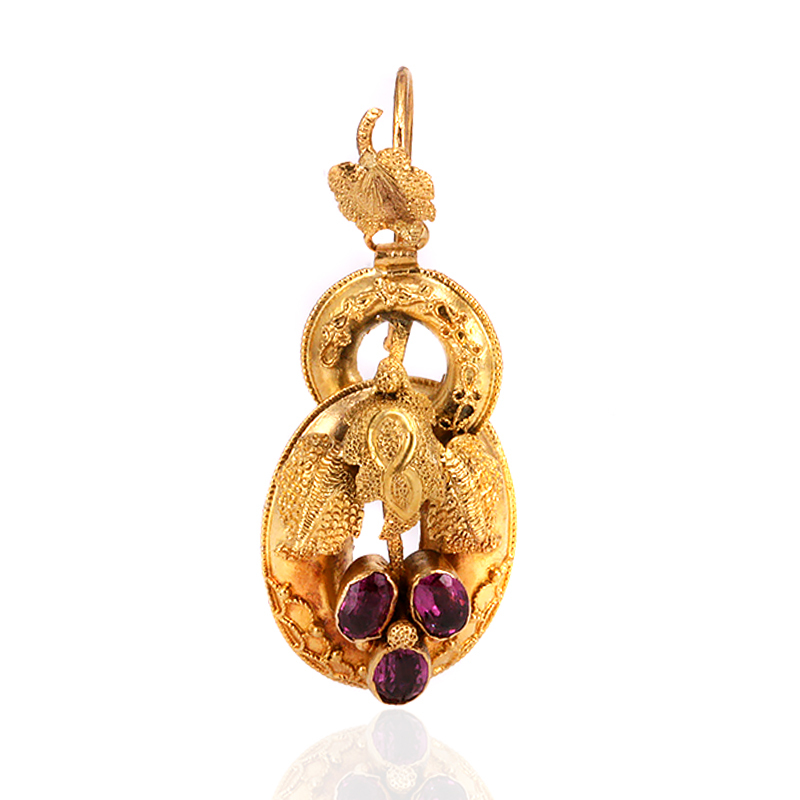 Product code: ES8298 Categories: Antique, Antique Earrings. Garnets come in a vast range of colour, including those with a delightful purple hue, as can be seen here in these late Victorian antique earrings set with rhodolite garnets. Dating from the 1880’s, these earrings were made in 18 carat gold and have a lovely rich yellow colour that sets of the colour of the garnets so well. Each earring is bezel set with three garnets in the most charming setting that has a floral style to them. Measuring 26.1mm across by 50.4mm, they are set on lovely elegant and secure shepherd hooks that allow each earring to sit perfectly on the ear. These amazing Victorian earrings have a style and elegance that will make them always look so beautiful during the day and are perfect to wear well into the night.